Dr. Russell Kridel is a world-reknown facial plastic and reconstructive surgeon currently in private practice in Houston, TX. 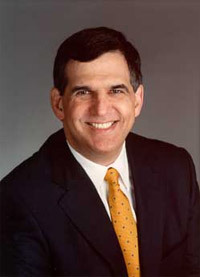 In addition to major contributions to his specialty, Dr. Kridel has been actively involved in national, local and state medical associations since medical school to help physicians deliver and patients recieve the highest quality of medical care available here in the United States and around the globe. Currently, Dr. Kridel is on the American Medical Association (AMA) Board of Trustees and the immediate past chair of the prestigious AMA Council on Science and Public Health (CSAPH) which provides information and recommendations on medical, scientific, and public health issues. By creating the blog, ScienceAndYourHealth,com, he wanted to provide a forum to share key highlights from CSAPH council reports, relevant articles on current health issues, as well as personal insights of his own on important healthcare topics. Any views expressed on this blog should be considered personal views of Dr. Kridel and are not official statements of AMA policy (which is set by the AMA House of Delegates) nor official actions of the AMA Board of Trustees.